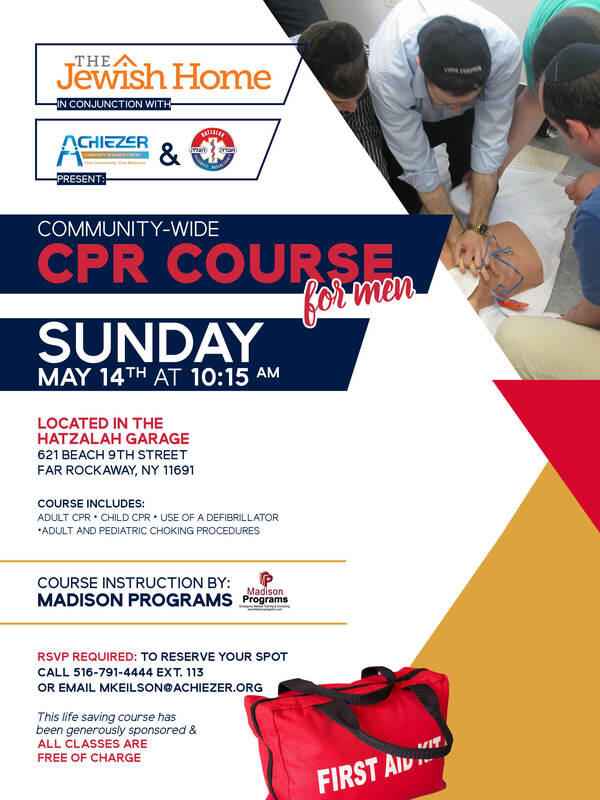 On Sunday morning May 14 2017, there will be a community-wide training series sponsored by The Jewish Home in conjunction with Achiezer and Hatzalah. Adult and child CPR and choking procedures will be taught. The classes will take place at the Hatzalah garage located at 621 Beach 9th Street in Far Rockaway beginning at 10:15 AM. Advance registration is required. Please call (516) 791 4444 x113 or email mkeilson@achiezer.org.